aFe CONTROL believes anyone can provide you with a stiff swaybar, but to provide a perfect balance is a whole other story. By pairing the proper sized bar to the front and rear, we can offer increased roll stiffness without upsetting the vehicle's natural balance and traction control systems. We design on all of our swaybars to ensure proper fitment and a hassle free install. 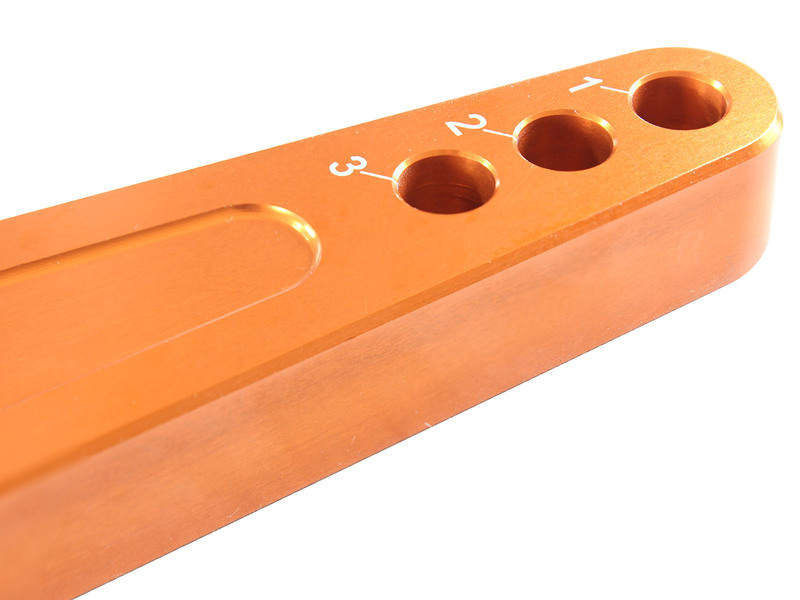 TIG welded ends ensure maximum durability along with our stage-2 orange powdercoated finish which maintains a long lasting finish. While springs are a great way of improving the looks and initial handling of your vehicle. Swaybars are the most important piece to fine tuning your suspension setup, because they control weight transfer much more efficiently than the smaller stock bars. 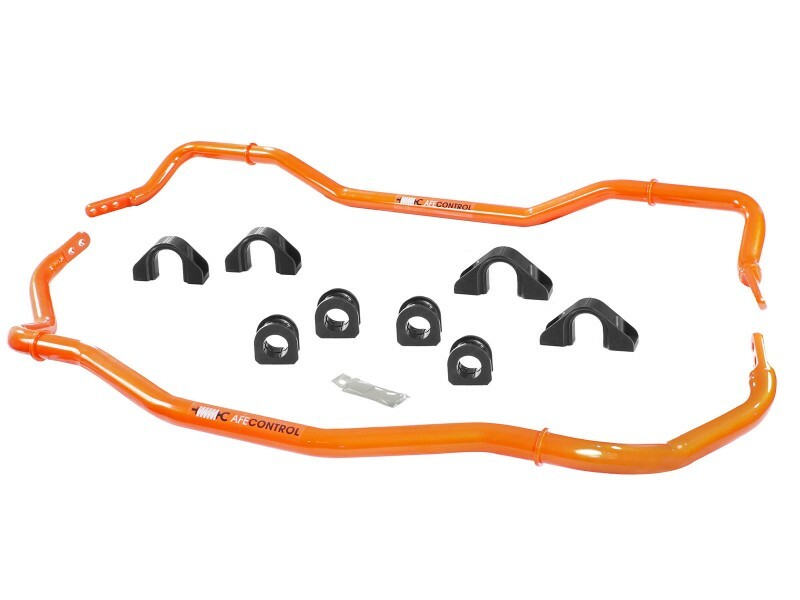 A great upgrade for enthusiasts seeking for improved body roll management on the street or on the track. Tune the Amount of Understeer and Oversteer to fit Your Preference. Direct fit Installation, No Modifications Required. Powdercoated for a Durable Long Lasting Finish. Polyurethane Bushings with CNC Machined 6061-T6 Aluminum Brackets. Constructed out of CNC Bent, Lightweight Tubular Alloy Steel. 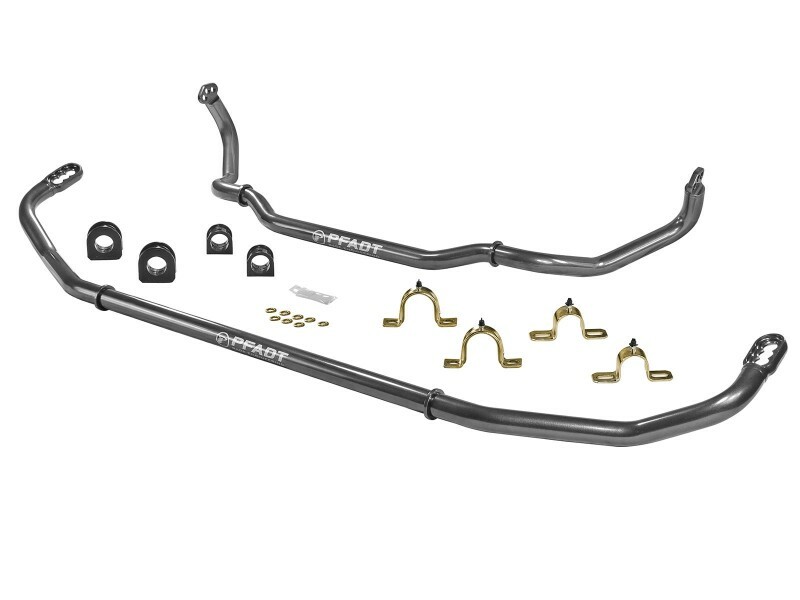 Designed for Corvette racers in mind, the aFe CONTROL PFADT Series Swaybar Track Swaybar was developed as a solution for drivers who want an extra edge on the track. Crafted out a 4130 Chromoly torsion bar, with a clear zinc finish and broached splines. 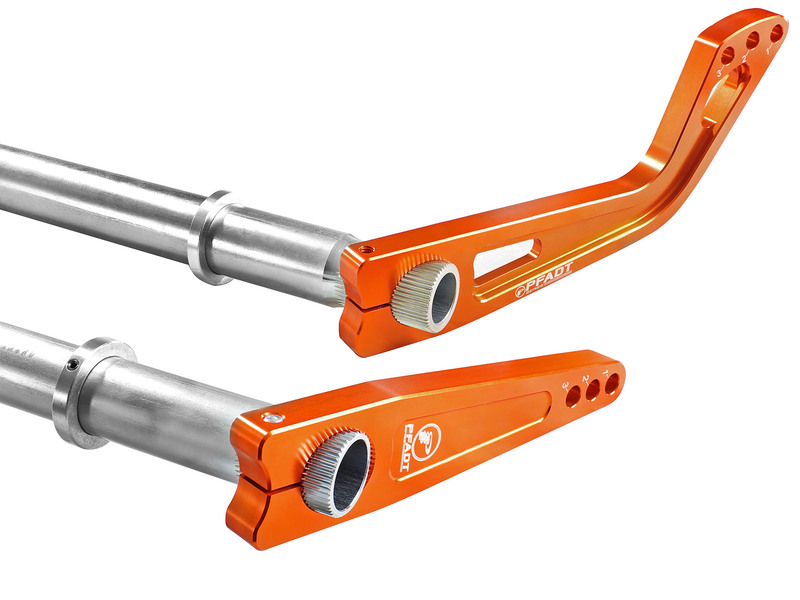 Both front and rear bars feature lightweight 7050-T7 aluminum arms that are anodized orange and laser etched in an effort to reduce weight and simplify adjustments. 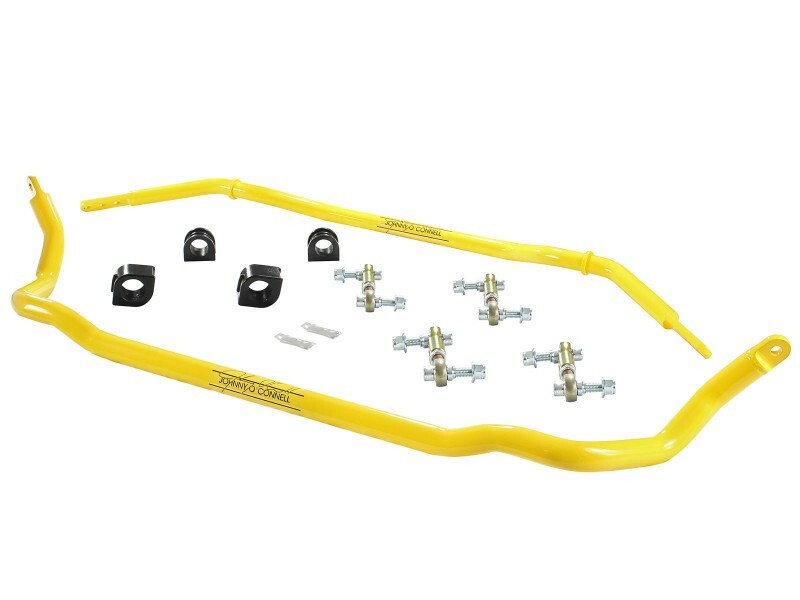 The bar are 3 way adjustable providing you a total of 9 different swaybar rate combinations. We include swaybar end links that are lightweight, and strong allowing for maximum articulation. Many racers will corner balance their vehicle, and a simple turnbuckle this make adjustment easier. All the necessary hardware is included with our kit. 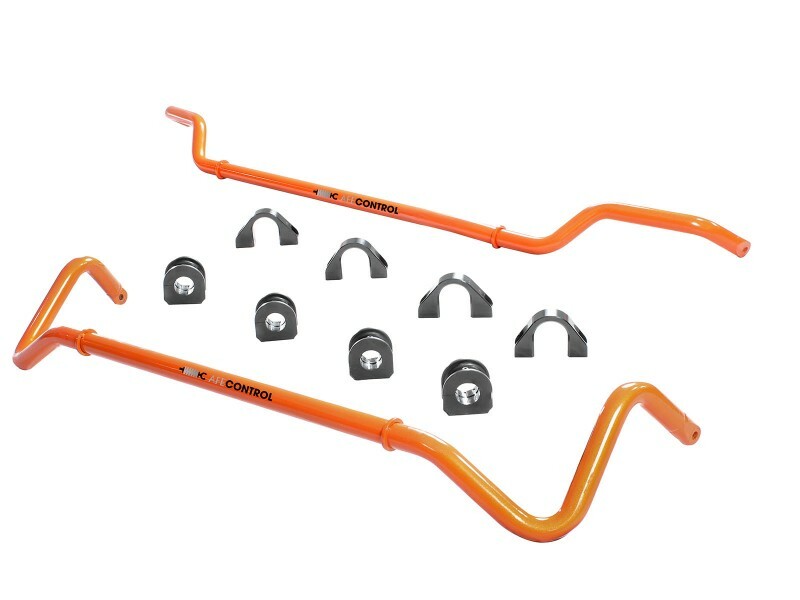 These swaybars compliment any Corvette track car, and are used all over the world by racers looking for a new level of grip and balance that was not possible . 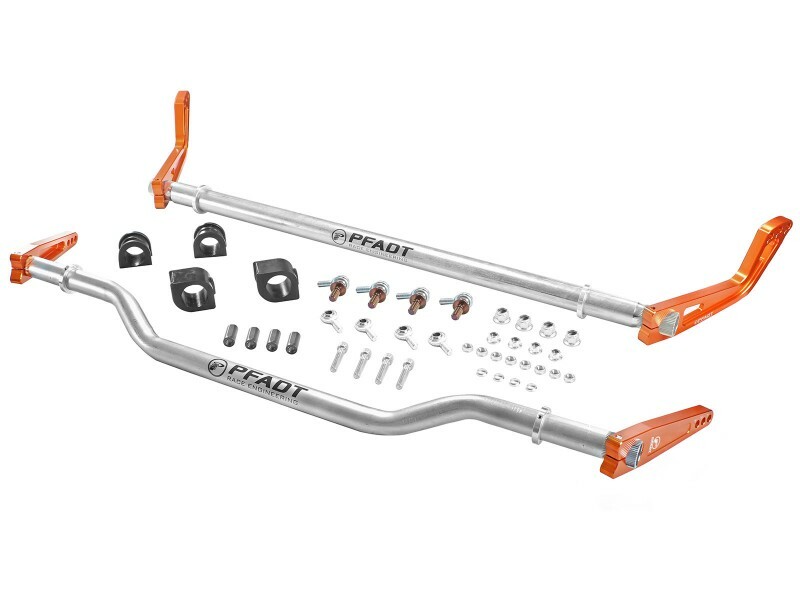 Fully Adjustable Swaybars, Provides up to 9 Different Swaybar Combinations. 4130 Chromoly Steel with Clear Zinc Finish for Greater Corrosion Resistance. 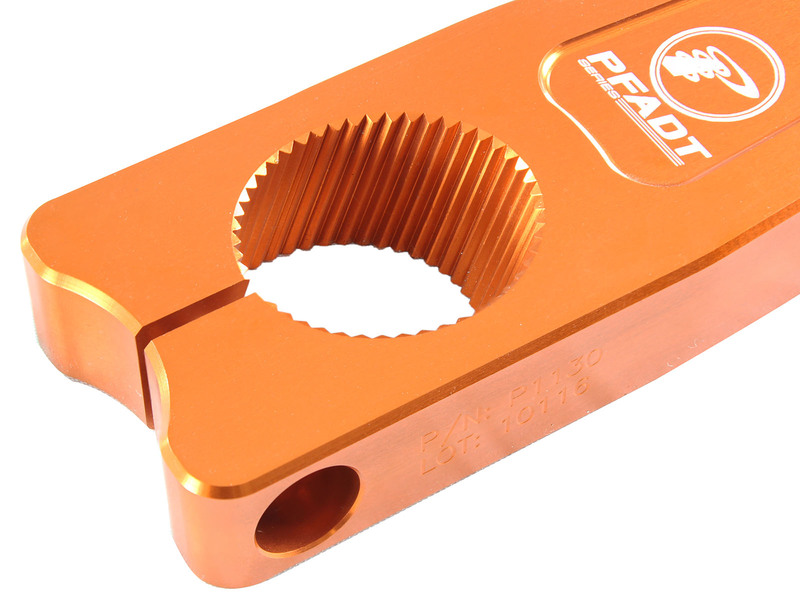 Lightweight 7050-T7 Aluminum Arms are Splined, Anodized and Laser Etched. Available Individually Sold Front, Rear, and Drag Specific Swaybars as Well. Front 3 Way Adjustable 38mm Bar, and Rear 3 Way Adjustable 31.75mm Bar. Service Kits Available to Replace Worn out Parts.